HAVANA, CUBA (13/JUN/2013.) - Cuba began today celebrations of the 85 th anniversary of legendary Argentine-Cuban guerrilla Ernesto Che Guevara, which will take place tomorrow 14 th June, to remember and to analyze his particular vision of socialism. The life and work of the guerrilla commander are topics of the symposium "Che Guevara at the current time" opened on Thursday in the Ministry of Higher Education in Havana. His daughter, Aleida Guevara underlined during the forum the need to insist on all aspects of the legacy of her father, who emphasized on the "profound humanism" which directed his life and the "absolute confidence" in the potential of people, in their ability to create and to grow. In that meeting an editorial project was presented, which has been promoted by the Che Guevara Studies Center, it includes books and booklets in English and Spanish, six of which have already been published, said Aleida Guevara. 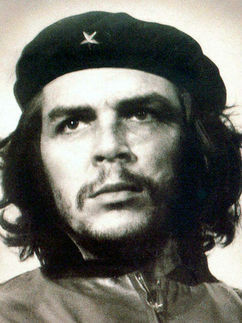 Che was born in Rosario, Argentina on June 14, 1928, joined the guerrillas in the Sierra Maestra, which by Fidel Castro came to power in Cuba in 1959 and died in 1967 in Bolivia, killed by the army of that country. His remains were taken to the Caribbean island thirty years later. Among the acts of tribute to Guevara, also known as the "Heroic Guerrilla" on the island, Cubans during the three das will be visiting the mausoleum that has been holding his remains for 16 years, along with some of his companions in the Bolivian guerrilla. The mausoleum comprises a complex sculpture in a square named after him in the central city of Santa Clara, about 300 kilometers east of Havana, where he is remembered for the battle that led to the control of a group of Cuban rebels in December 1958, considered critical to the success of the revolution. In that Memorial history students and their colleges from across the country began on Thursday the event entitled "Ernesto Guevara: possible paradigm." The Vice Chancellor of Educational Sciences of the University of Santa Clara, Ramiro Ramirez, explained that this meeting aims to promote research and analysis of economic, political and social thought of Guevara. At the end of the day a cultural gala will opened, which will feature more than 200 artists and will also open a fine art exhibition " Che Comandante, Amigo." The anniversary program scheduled for Friday a ceremony in Sculptural Complex located next to the Memorial, which will congradulate 85 new members of the "Union of Young Communists" (UJC), the Communist Party's youth branch on the island. The presentation of the Symphony "Death and Rebirth" is scheduled in Cuba for the same date. It is a tribute to Guevara announced in Paris by the author of the piece, the Argentine musician Julio Cesar Pardo. The work will be performed by a group of music students in Santa Clara and subsequently presented at the Basilica of Saint Francis of Assisi, in the historic center of Havana.